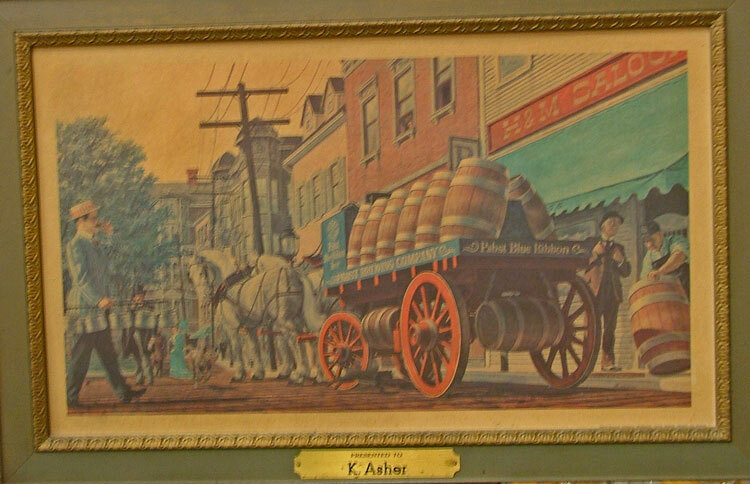 Kathryn Asher was well known in Havre de Grace as a woman managing a beer and wine distributorship in a time when women managers were still unusual – in the wine and beer industry, probably even more rare. But as the following paragraph states, she also was very active in the community. 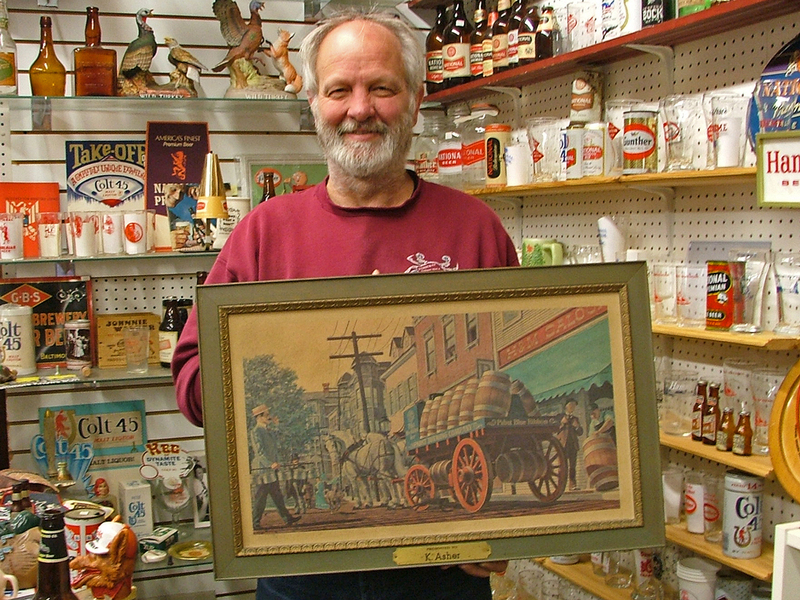 Listen to George share a bit of knowledge and some items he acquired following her death and, more recently, the family’s efforts to sell the building. The above picture is NOT for sale. 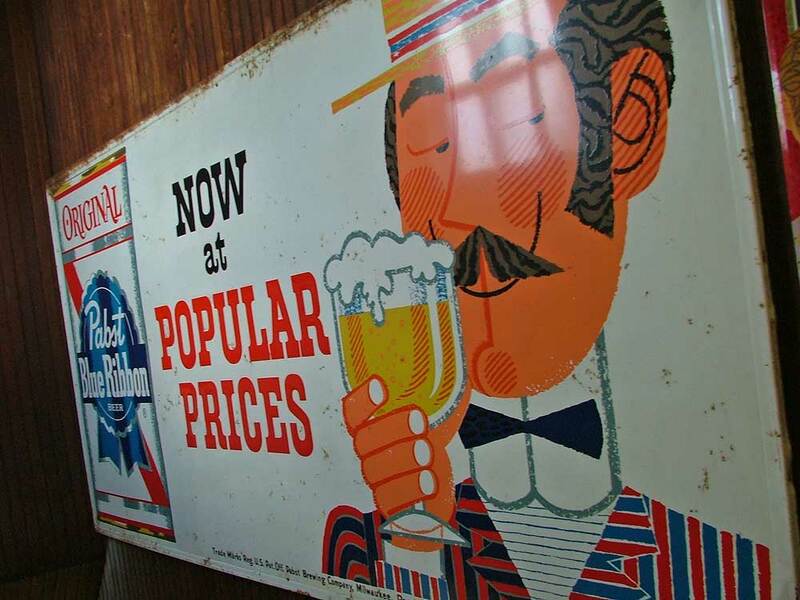 It is a part of the collection in the Bahoukas Beer MuZeum as part of the city’s history. 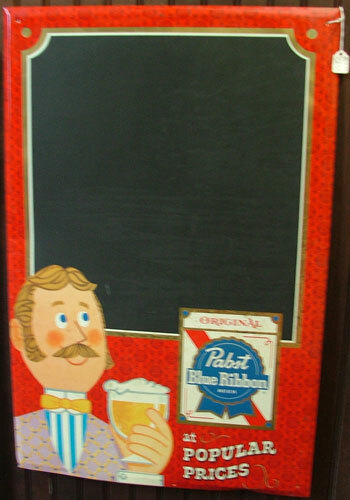 But this great chalkboard (on the left) is available. It was a promotional piece used to write the days specials in a bar. Two other great pieces are shown below. One is a huge metal advertising sign – probably 4′ x 8′. The other is a banner about 4′ x 5′. 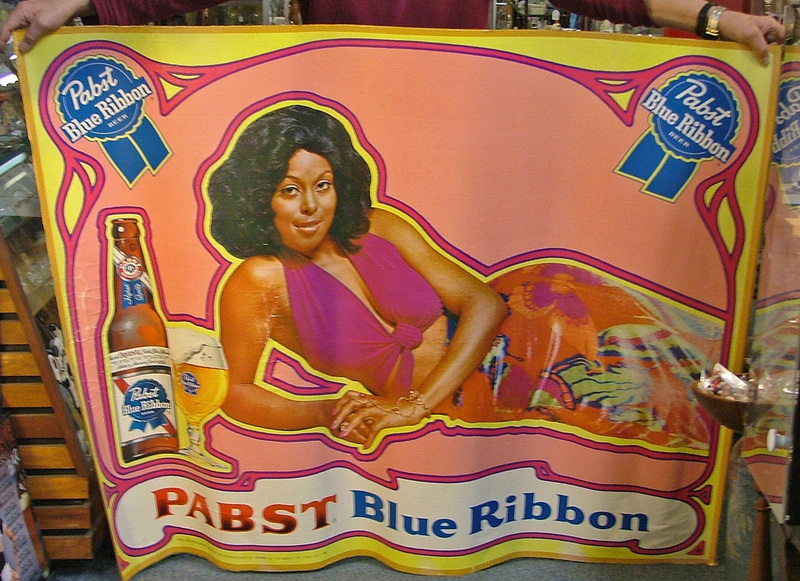 We’ve been trying to figure out if the black woman is possibly a famous singer. Does anyone out there in cyber space know? If so, be sure to tell us. 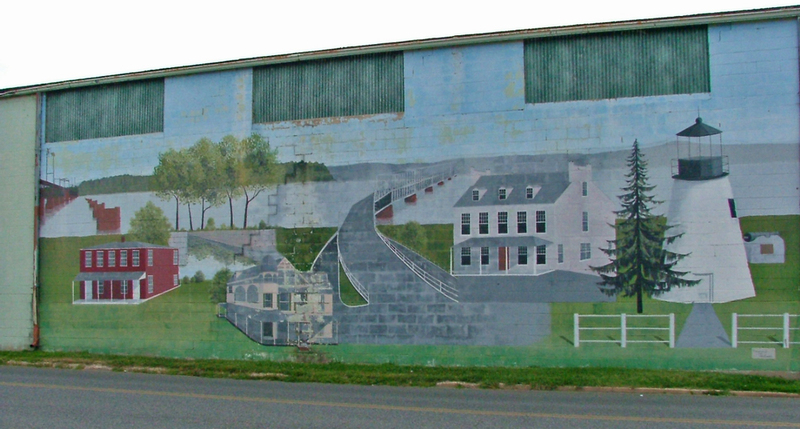 Here’s the mural that was originally painted on the building. It has since been painted over.